New! 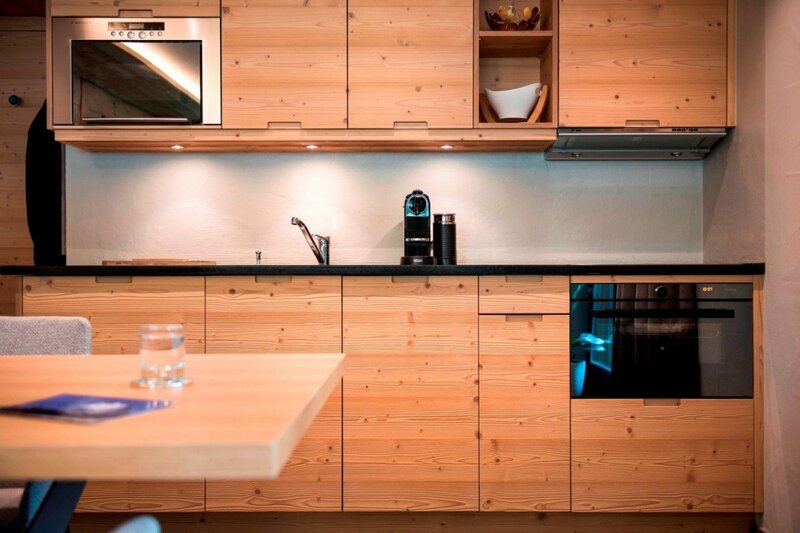 Apartment Charleston Peak, Zermatt, Switzerland. 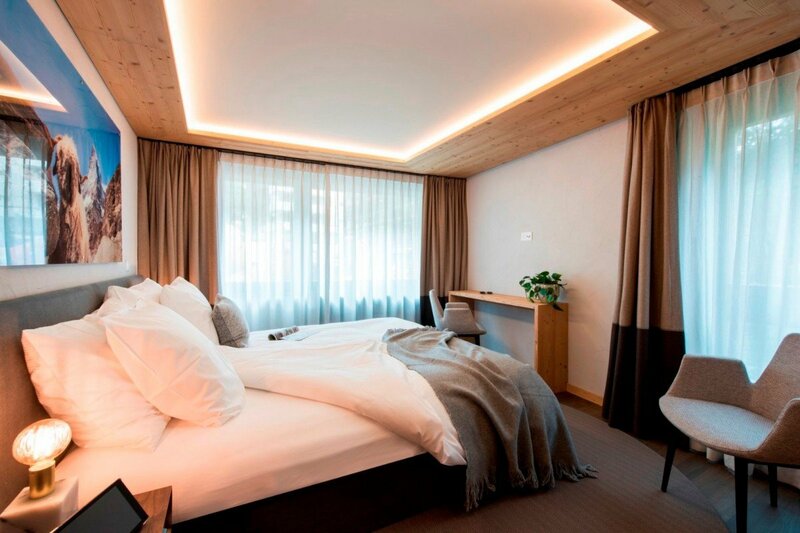 Located on the second floor of the Nevada residence in the centre of Zermatt and sleeping up to two people in one stylish bedroom, Charleston Peak ticks all the boxes for a modern and convenient apartment stay. 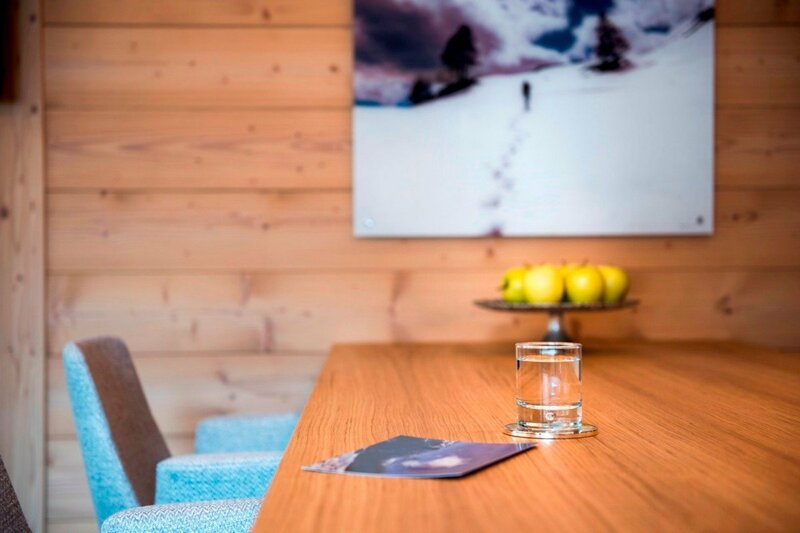 Designed with minimalist charm, Charleston Peak is a graceful space situated in the hub of Zermatt village providing utmost proximity to shops, restaurants, bars, cafes and other downtown amenities. 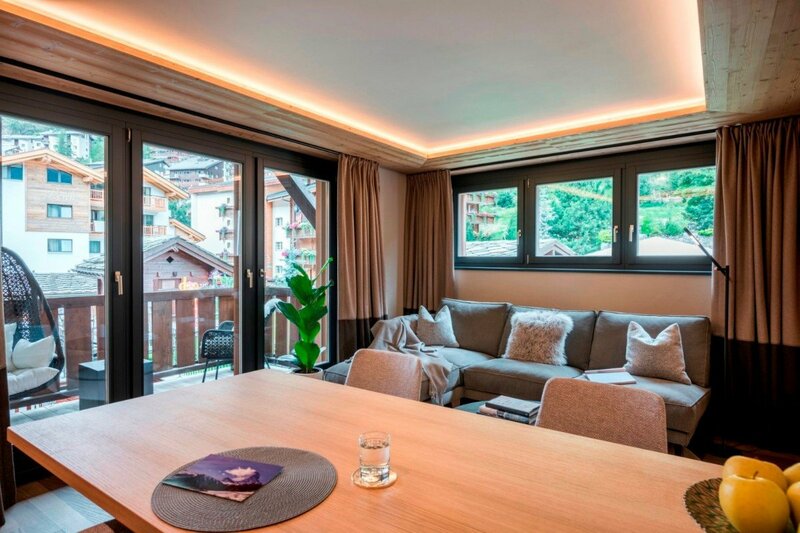 The apartment is a minute’s walk from the train and an equal distance to the Gornergrat station providing quick access to the many pistes and trails for which Zermatt is known. It is ideal for a couple of two friends seeking ease and comfort. The entrance hall leads you into the welcoming open plan living and dining room which extends out onto a terrace. The single-wall kitchen provides all the necessary equipment and appliances for preparing meals to be enjoyed at the spacious dining table which seats up to six people. A comfortable L-shaped sofa beckons and provides perfect relaxation at the end of the day. 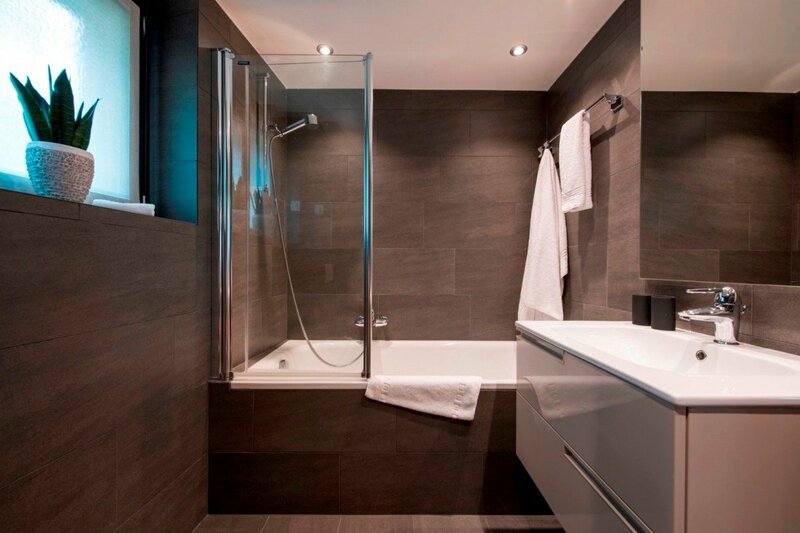 The bedroom is located adjacent to the living area and has an en-suite bathroom. This elegant space can be configured as a double or twin. Charleston Peak can be accessed by either a lift or stairs. 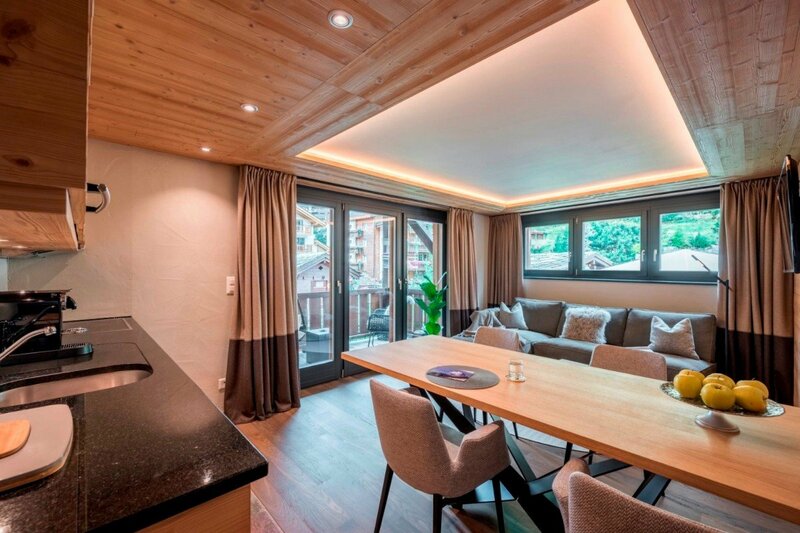 The residence also houses a ski room with private ski lockers and a laundry room with all the necessary facilities. This apartment can be rented in conjunction with the adjacent apartment Kern Peak to accommodate eight people in four twin or double bedrooms. Note: This apartment can be rented in conjunction with the adjacent apartment Kern Peak to accommodate eight people in four twin or double bedrooms.